This was one of those projects where I had an idea in my mind and I just went with it. Then as I started sewing, I realized that I probably should have thought it out more thoroughly. But it worked out in the end and the results turned out be to better than the image in my mind. So awesome! I made this for Elle who is 17 months. I found this pillowcase at the thrift store and loved the pattern. I bought it for $1. 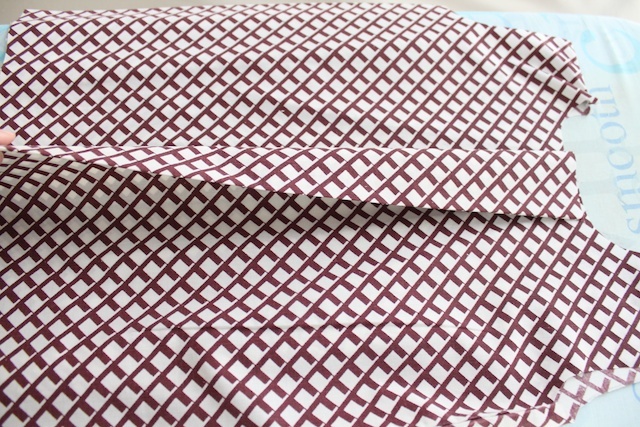 This pillowcase was a regular size, not the king size like I used for the Retro Ruffle Pillowcase Dress. I still have one more design for another pillowcase dress in my sketchbook. I just have to find another pillowcase. 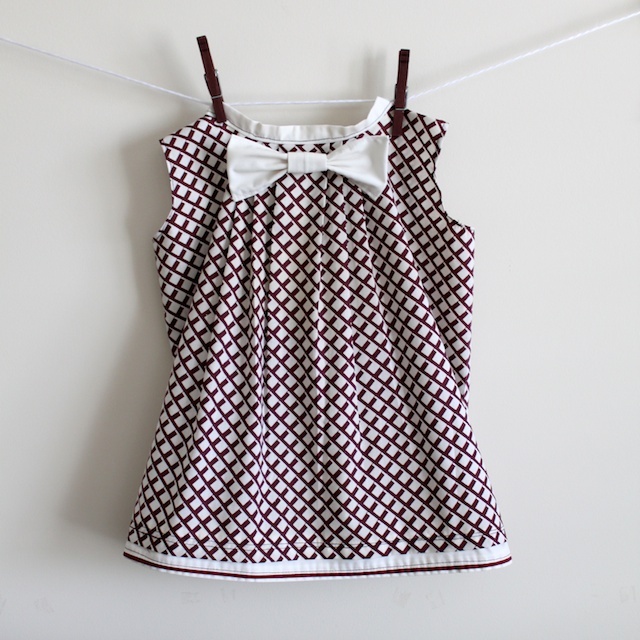 And like the Retro Ruffle Pillowcase Dress, I did the ribbon-button closure in the back. 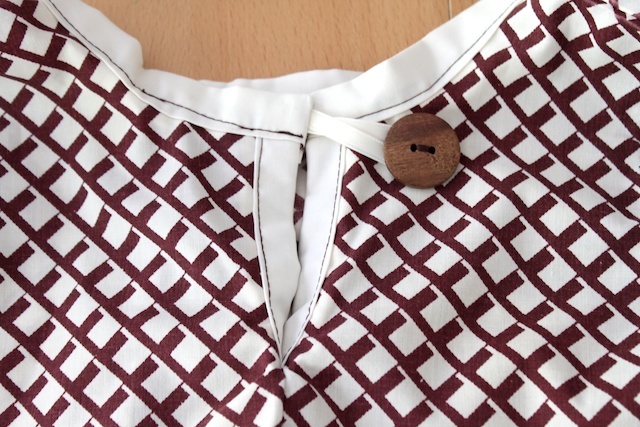 This time, I used a wooden button from Moda. It was just too perfect for the dress. And if you made something inspired by Simply Modern Mom, please upload pictures of it in our Flickr group to show it off to everyone. You may be featured on Simply Modern Mom. 1. 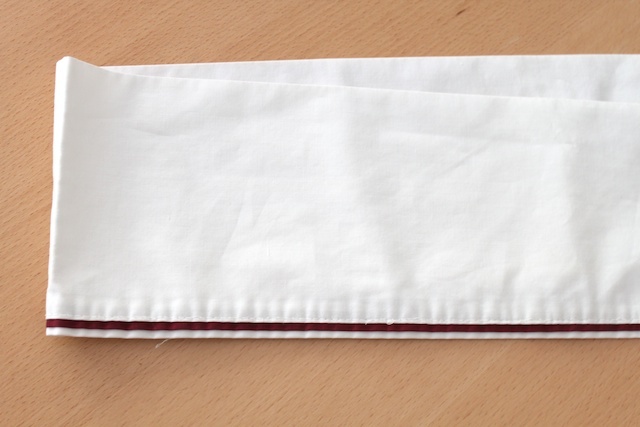 Use a seam ripper to detach the opening piece of the pillowcase. If you don’t have that on your pillowcase, you can skip this step. 2. Grab one of your daughter’s dresses. 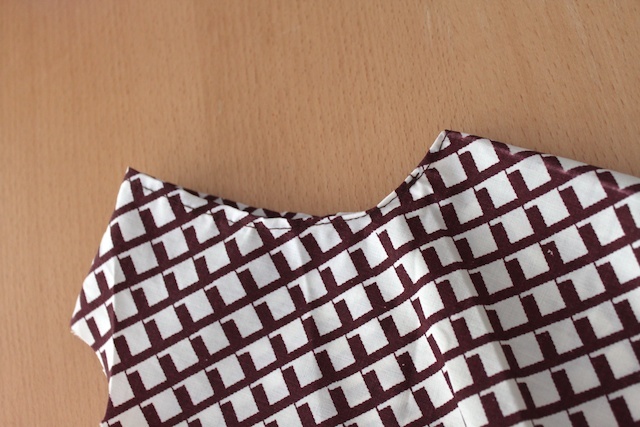 Measure the collar then add 3 inches to it for the pleats. So you’ll end up with a really wide collar. 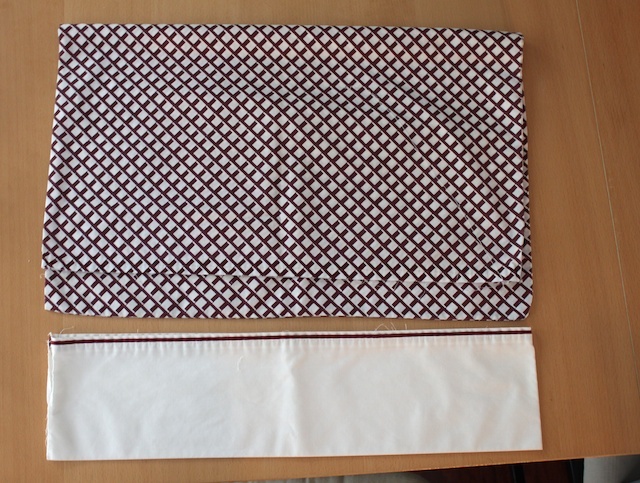 Since the dress is symmetrical, I folded the pillowcase in half lengthwise and sketched just half of the dress. Make the collar more squarish then rounded. I also drew the holes for the arm and length of the dress. Remember to include a seam allowance. I did 1/4-inch for seam allowance. But go wider if that is more comfortable for you to sew. 3. Cut out the dress. It is going to look funny at first because of the huge wide collar. 4. 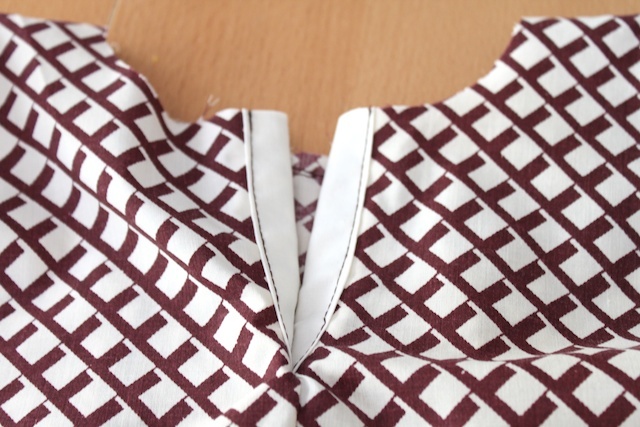 With the pillowcase wrong side out, find the middle of the collar at the front of the dress. Start the pleating with 1/2 inch pleats. You’ll do that two more times and pin. Here’s the trick, iron as you go. 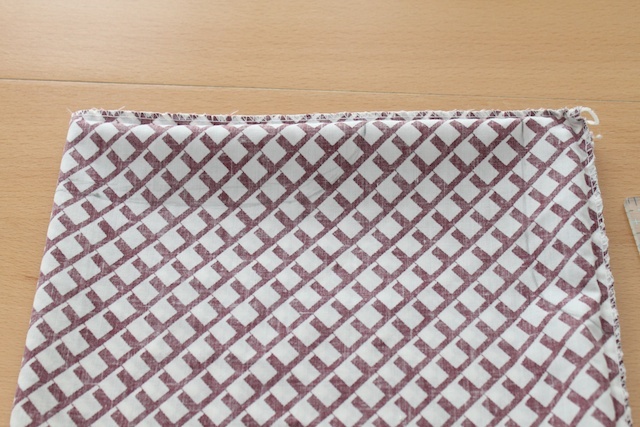 The pleats will stay together better if you iron each pleat. Don’t worry about the back of the dress right now. 5. Flip the dress right side out with the back of the dress facing you. 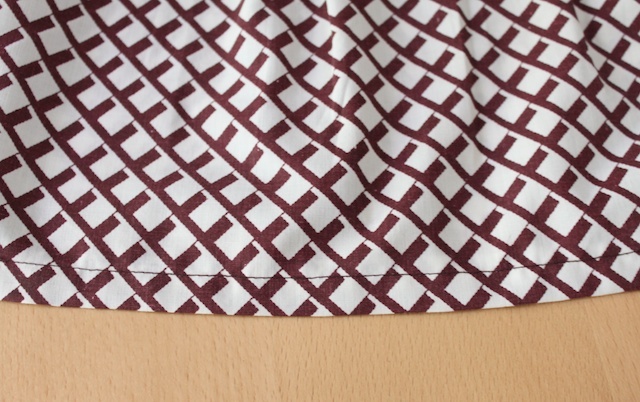 Take the extra from the back and match the collar width of the back to the front where the pleats are still pinned. You should have the extra 3 inches that was added for the pleats to cut off. 6. 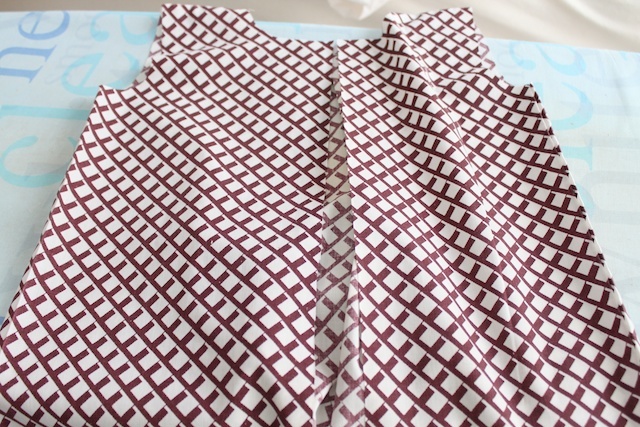 Before sewing the back of the dress together, I sewed the seam of the sleeves. It’s easier to work with while the dress is open from the back. 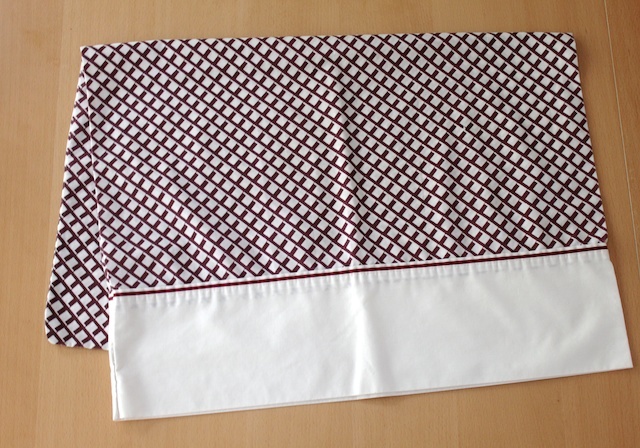 Since I don’t have a serger, I fold then ironed and fold and ironed again. Then I stitched it in place. 7. 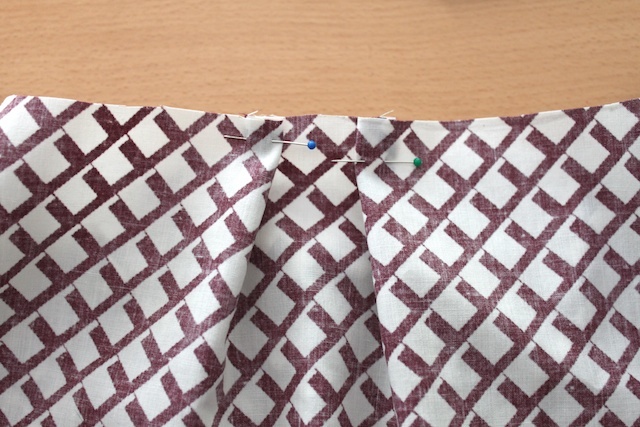 Sew the pleats in place. 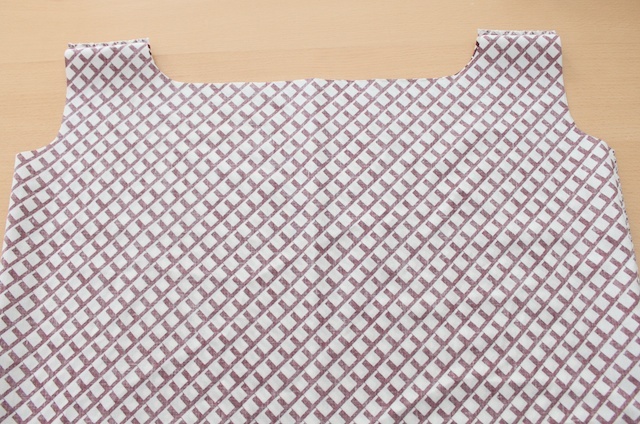 Do the sewing at about 1/4 inch in because you want it to be covered by the bias tape that you’ll make and use for the collar. 8. 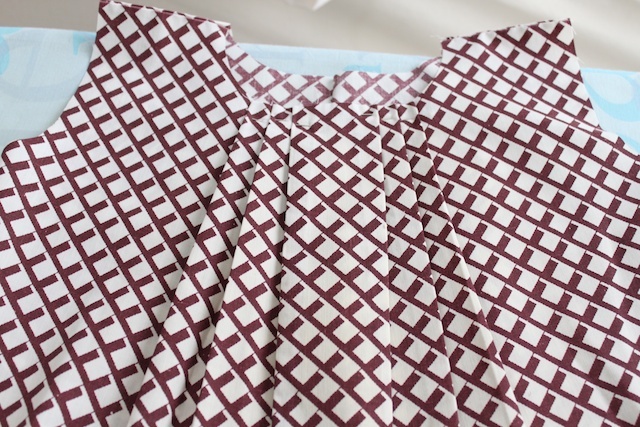 For the V-split, the collar, the bottom of the dress and the bow, I used the white border that I detached from the opening of the pillowcase in step 1. 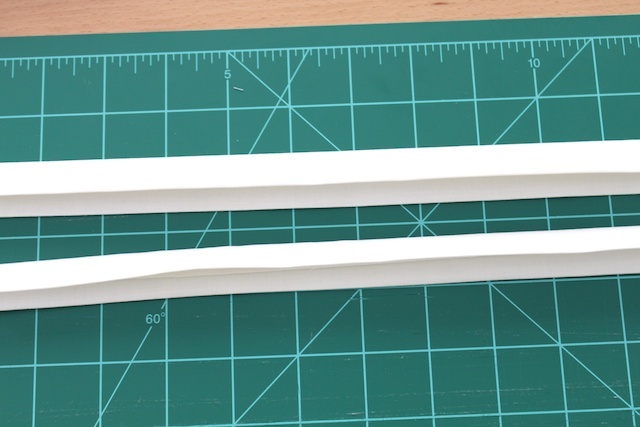 I made bias tapes out of them for the V-split and collar. 9. 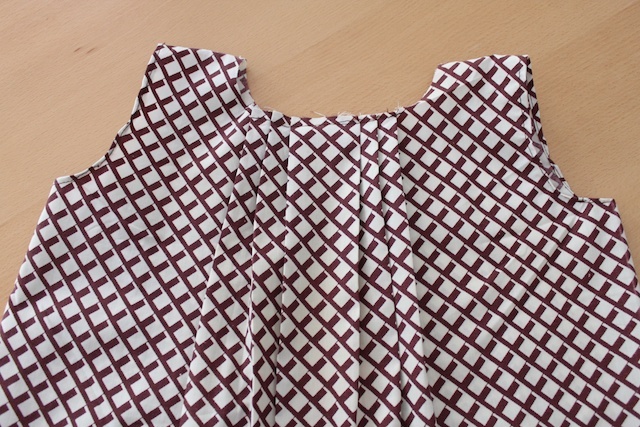 Now sew the back of the dress together but leaving the top 3 inches open for the V-split. 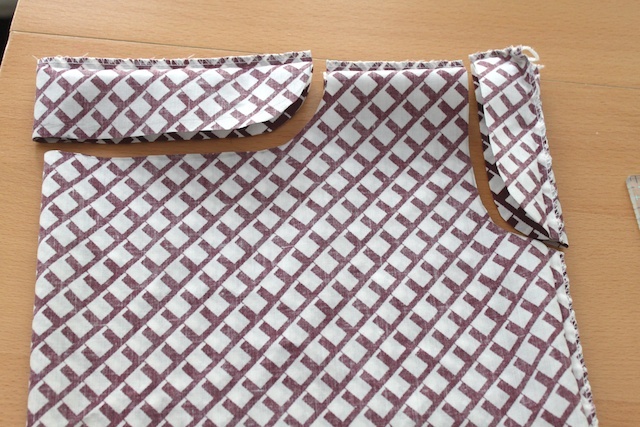 Then follow the instructions in the Retro Ruffle Pillowcase Dress steps 6-7 for how to put together the V-split. 10. 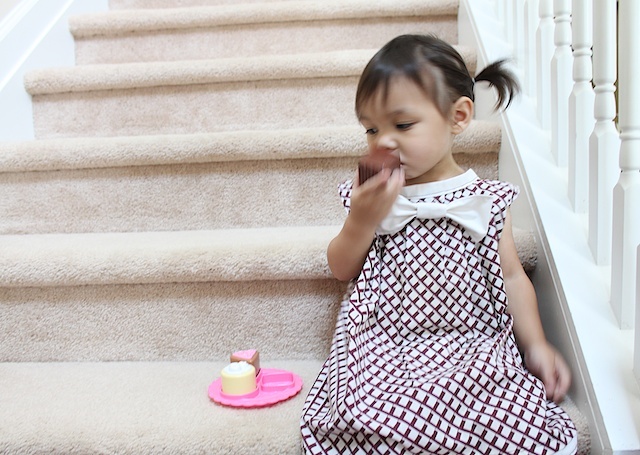 Then follow the Retro Ruffle Pillowcase Dress steps 10-11 for how to put together the collar with the ribbon. And sew on your button after you have measure how far your ribbon goes. 11. Sew the bottom seam. 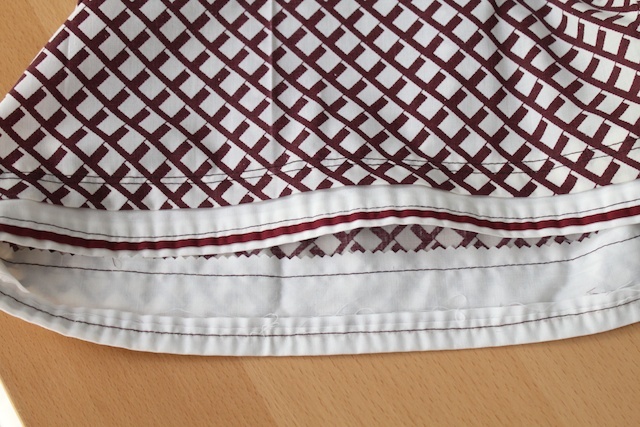 And if you want to add some thing to the bottom of the hem, I used that opportunity to sew the staystitch. 12. 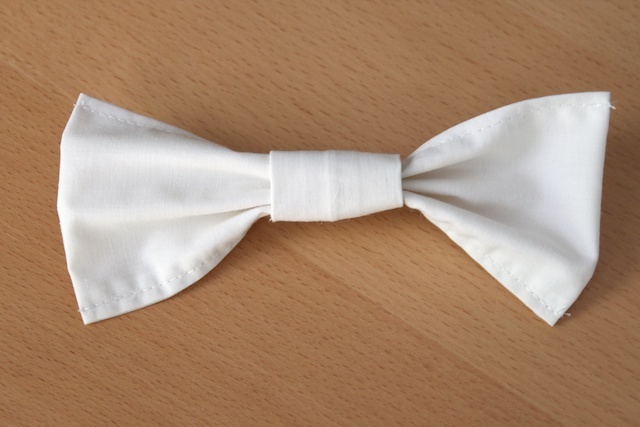 Make a bow with the leftover fabric or matching fabric scraps. I glued mine onto a brooch pin. Or you can just hand stitch it onto the dress. And done! That wasn’t too hard was it? 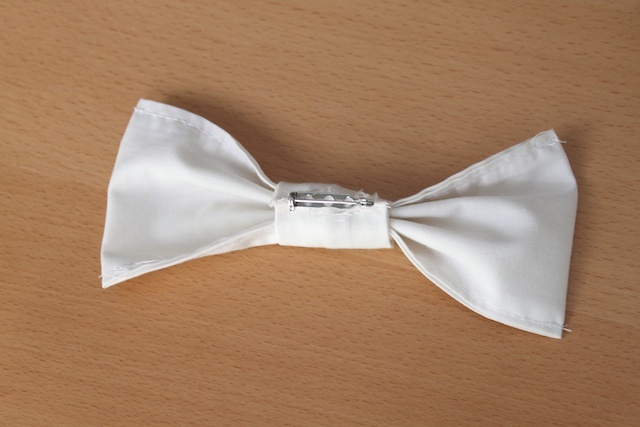 » Tell me… Do you think bows, especially big bows, are making a comeback? So cute! I don’t have girls so I don’t know what’s ‘in’ in the world of bows, but I think a few buttons down the front would be a pretty sweet accent too! Tiffany I love this little dress. We love bows at our house. Really big bows too. Big bows are very hip! This is darling! I will feature this at somedaycrafts.blogspot.com. Love the style and the pillowcase you used! That looks absolutely adorable on her! You are so creative and SO incredibly talented!! Love the dress! swoon… so stinking cute!!!! i gotta find me some pillowcases, and fast!!! 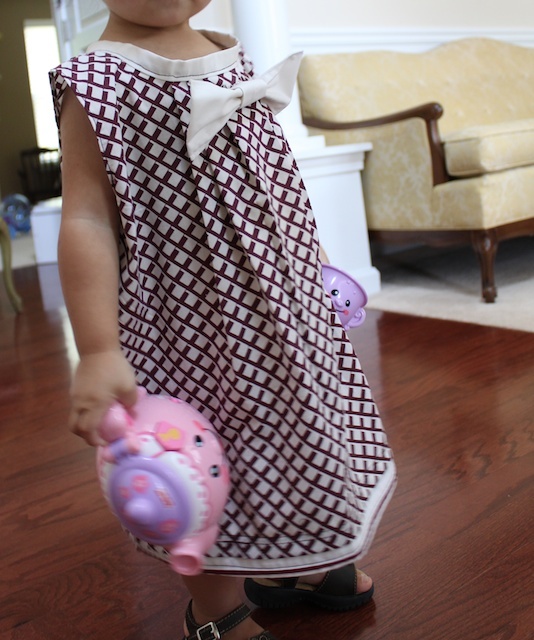 thanks for all the beautiful comments regarding this new pillowcase dress! This is the BEST pillowcase dress I’ve seen. Most just look like the kid is just wearing a pillowcase, but yours is adorable! thanks! i didn’t want my kids look like they were wearing a pillowcase with ribbon ties. so this was what i came up with. glad you liked it! thanks so much anna! that means a lot coming from you who is an amazing seamstress! THANKS for your post….I made it! aubrey! 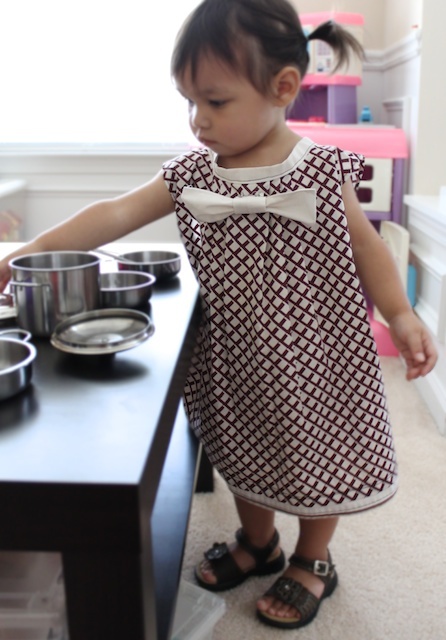 your pillowcase dress turned out so cute! thanks for sharing it with me! I think I also saw a pillowcase you made that was off-the-shoulder on one side. Was that yours; if so, do you have a tutorial on that one? I’d like to make it for my granddaughter. Thanks! as of yet, my other pillowcase dress is the retro ruffled pillowcase dress http://www.simplymodernmom.com/2010/04/retro-ruffle-dress-from-a-pillowcase/. i do have a third design that i have drawn, but haven’t made it yet. Love this my friend! Yes, big bows are so making a comeback. I’ve been thinking about them attached to headbands! 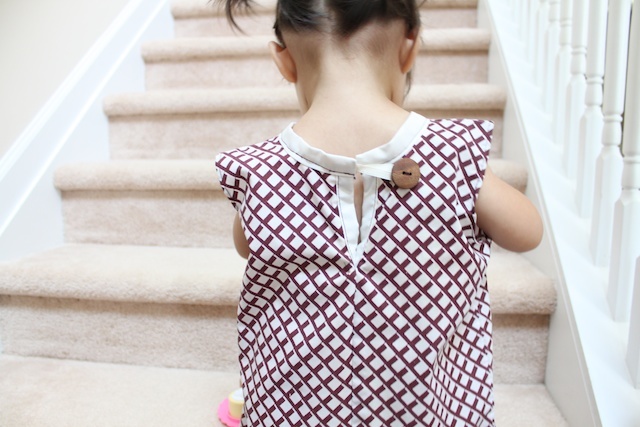 Love the dress-so cute.I would sew the bow on or use a snap system as I think the pin could be a possible danger to a child.Just in case it falls off or they manage to get it off.Other than this I think your dresses are such a good idea!! i think it is adorable ! i too think thpin is a bit dangerous for a wee child,i would stitch it on as well. TIP: if you stitch thru the middle of the bow with heavy duty thread and stitch again next to it ,then pull up thethreads to gather it ,you’ll get a fuller bow with more shape.open the ends afterwards and place a “ham” in the end or a handrolled towel inside .then steam it open so the ends are not so flat-like. that dress would also look great with a rosette made from the white fabric as an alternative :0) but again beautiful dress!! bravo! trop mimi , et pas trop compliqué, à faire . Your daughter looks so sweet in her little ” shift dress” I believe you have the 1960’s shift dress brought back in fashion and this dress, knowingly or unknowingly is very true to form in the way of shape and style of dress that not many can duplicate or sew as well as you have. Make it larger and you both step out in the classic shift dress still popular today. Thank you for posting.